ESC's MADE IN THE UK BY FOSWORKS & MTRONIKS RADIO CONTROL. SIMPLIFIED WIRING DIAGRAM COURTESY OF MyLocosound. USE WITH ANY REGULAR 2.4 GHz MULTI CHANNEL RX. SOLD SEPARATELY. SUPER SMALL 6 & 12 AMP ESC's ARE TOTALLY SOLID STATE. "G" SCALE LOCOS & MANY "0" SCALE LOCOS. Just one channel, (ie one knob) is used to control both speed and direction. CALL ME FOR A "DEVIL" OF A DEAL. CLICK HERE FOR INSTALLATION SERVICE INFORMATION. GOT A FAVOURITE LOCO THAT NO LONGER RUNS WELL? CLICK HERE FOR INFORMATION ON HOW TO REJUVENATE IT. Click here for an up to date currency conversion. DESIGNED FOR USE WITH ALL RCS TX HANDPIECES. Can only be supplied as CENTRE OFF control. Centre OFF Speed & Direction on Ch # 1. Can be assigned to Ch # 3. CONTROL 2 x LOCOS FROM MOST RCS TX HANDPIECES. EASY PLUG IN INSTALLATION WITH JST CONNECTORS SUPPLIED. A FLEXIBLE BATTERY R/C SYSTEM THAT ALLOWS FOR PLUG IN ACCESSORIES TO EXPAND THE SYSTEM CAPABILITIES. See below for directional constant brightness lighting. Contact RCS for information if using other brands of TX's. 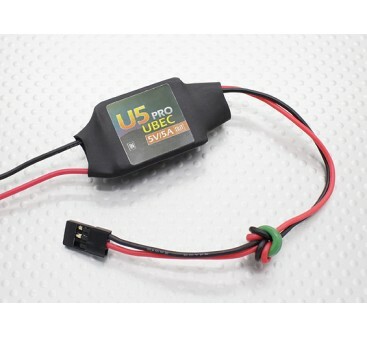 VIPER ESC's use a 100 Hz PWM frequency which may cause an audible hum at low speed depending on the loco. They require a suitable 4/6 Channel RX and TX handpiece. SUITABLE FOR SMALL TO MEDIUM SIZED BATTERY LOCOS. 15 volts actual is the absolute maximum for the # VIPER-10-15. A fully charged 4s Li-Ion battery can reach 16 volts & may cause erratic operation. 10 x AA cell 12 volt ENELOOP battery package deals are now available. 7.2 v to 15 volts. 6 amps - 10 amp peak. COBRA-160 SPECIAL CLEARING PRICE UNTIL SOLD OUT. 45 mm x 20 mm x 10 mm. JST cables. FOR MEDIUM TO LARGE LOCOS REQUIRING AT LEAST 12 VOLTS. Absolute Max is 24 volts actual. 6s Li-Ion (22.2 volts) or 16 x NiCd/NiMh cells. Fitted with Front and Rear directional constant brightness lights. $89 (L) 6 volts to 24 volts. 5 amps - 30 amp peak. 53 mm x 26 mm x 14 mm. Screw terminals. SERIOUS GRUNT FOR POWERING REALLY BIG LOCOMOTIVES. 12 v to 24 volts. Up to 12 amps. 20 amp peak. Motor using standard bullet connectors. CENTRE OFF ESC's DO NOT HAVE DIRECTIONAL LIGHTING. The # MRW-SSLS solves the problem. Power by R/C BEC or Traction batteries. Provides 2 x Lighting controls. Can be used with any spare channel for manual R/C control. The # MRW-SSLS reads direction of motor channel to automatically change lighting direction. When using LED's, the supplied 1k dropping resistors must be fitted. A$36 (L) Solid State Lighting Switch. Plug 'n' Play installation kits for Aristocraft & Bachmann locos equipped with a PnP socket and allows any brand of R/C to control them. BATTERY-PNP A$19 (L) Simplified Battery only 3 amp Plug'n'Play adaptor for the standard AC/Bach socket. $27 (L) Fit pcb in the doorway of an "0" or Largescale boxcar. 1 amps fused. Screw terminals. BIK-TC6 A$45 (L) 6 amp Universal Battery Installation Kit. BIK-U3A A$39 (L) 3 amp Universal Battery Installation Kit. $45 (L) 6 amp Universal Battery Installation Kit. GO HERE FOR DUAL USE 2.4 Ghz DSM2 TX HANDPIECES & RX's. GO HERE FOR EVO LOW COST 2.4 Ghz DSM2 TX HANDPIECES & RX's. GO HERE FOR INSTALLATION KITS. that control accessory functions such as Kadee uncouplers. A 7.4 volt pack is ideal. $ 12 (L) Small inline device that reverses the servo signal. Needed with Kadee© servo uncouplers. USE ANY ESC & POWER BY CONSTANT TRACK VOLTAGE. $19 PIC SOON 3 amp Plug'n'Play adaptor for using constant track voltage as the on board power supply. Fused for use up to 25 volts. $24 PIC SOON 6 amp Plug'n'Play adaptor for using constant track voltage as the on board power supply. USE ANY RCS TX HANDPIECE FOR COBRA-160 & VIPER-10 ESC's. EACH TX WILL REQUIRE A STANDARD 9 VOLT ALKALINE TRANSISTOR BATTERY. Contact RCS for information if using other TX's. VIPER ESC's do not have directional constant brightness lighting outputs. DAMAGE CAUSED BY MISUSE WILL BE OBVIOUS TO US & IS NOT GUARANTEED. IF YOU BLOW IT UP & TELL US HOW YOU DID IT, WE MAY WARRANT THE ITEM ANYWAY. THE PWM OUTPUT OF THESE MOTOR DRIVERS SHOULD NOT BE USED WITH ANY DCC DECODER EQUIPPED LOCOS. RCS DOES NOT PROVIDE PRINTED INSTRUCTIONS FOR ALL ESC'S. PDF instruction booklets are available for the brand of R/C being used + FIVE different sound systems.